Sullivan Hall is a 345 capacity music and event venue located in Greenwich Village in downtown Manhattan near the New York University community (214 Sullivan St.). We are big music fans who frequent shows and are friends with many musicians and artist representatives. We listened to what they had to say about the type of venue they’d like to see in New York City. 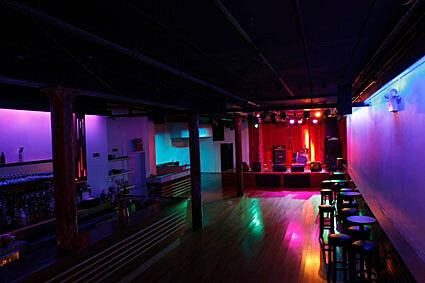 We created an ideal venue for both performers and fans alike. We put a state of the art sound and lighting system, and the space has near perfect sight lines. Even on a sold out show, you will have an intimate experience with your favorite performers at Sullivan Hall. Tea Leaf Green played the grand opening celebration last night. Other shows lined up at this newly-renovated jam-and-related band-friendly spot include Marco Benevento, Hassan Hakmoun, Lettuce, Ryan Montbleau Band, Dub Is A Weapon and Appetite For Destruction (the other GNR tribute band).